The following steps explain how to set up an out of office reply for your email in Outlook 2007. Previous versions of Outlook will follow along with the same lines as the instructions below. VPNs are commonplace in today’s technology-led environment, however, they can be quite complicated to set up and even more complicated to troubleshoot. In some cases turning off User Account Control (UAC) from the control panel does not work in Windows 8 and User Account Control (UAC) still appears to be running. Exchange 2010 – How to delete a mailbox when the user has been deleted from active directory? If a user is removed from active directory before being removed from the exchange management console, you will receive an error when trying to remove the mailbox stating it cannot be removed as the user object is not found. How do I change Pop3 email account settings in Windows Live Mail? If you already have an email account setup in Outlook but wish to change the details, for example, if the incoming pop3 server changes or your password is changed, you can simply edit the option to save creating the account from scratch. How do I change Pop3 email account settings in Microsoft Outlook 2010? On the face of it, email can be a simple thing. Usually, it’s pretty easy to setup, but if you need to change anything that’s where a lot of computer users can come a little unstuck. How do I change Pop3 email account settings in Microsoft Outlook 2003? How do I change Pop3 email account settings in Microsoft Outlook Express? Email support issues are one of the main areas where we help our clients on a daily basis. How do I change Pop3 email account settings in Microsoft Outlook 2007? Please follow the below steps in order to setup your device for Microsoft Exchange Email via IMAP. Where an instruction says “save or next” you will see a button for either save or next. If the device software is up to date you will see “next” rather than “save” on most of the requests. Windows is unable to open any EXE file and prompts you to select a program to run the exe. 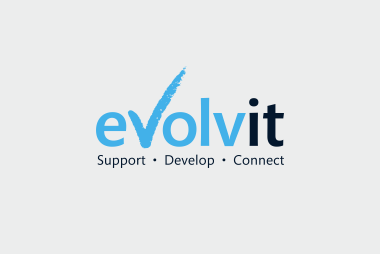 Please note that in order to access the EvolvIT support system outside your corporate network you must have a registered username and password for the site. Please ask EvolvIT for this information if you do not currently hold this information. When accessing the site inside your corporate network you will see your individual registered user in the list to select, if you do not see your name please contact EvolvIT so we can setup a login. 3. Click User Account and Family Safety. How can we save power, energy, equipment life, money and cut our carbon footprint when using IT equipment? In the current climate of a 24-hour economy, it is essential that your business IT systems are running all day – and all night. In order to upgrade your current Filemaker installation for OrganiseIT please follow our step by step instructions. You may have noticed a lot of snow recently; in fact, it probably stopped you getting to work. Not bad, but what is the cost to your business or employer? Why do I have no sound and how can I fix my sound problem? If you’re like a lot of small businesses these days, having the radio or music playing through one of your office computers has become commonplace. What happens if that source should fail? You need to get it back up and running pronto. How do I enable and change power saving settings in Windows Vista? Further power saving tips thanks to our green computer support staff. How do I turn on Machine Standby Power Saving in Windows XP? Over the course of a year, having your PCs go into power saving mode more quickly could save your business money and reduce emissions. Tape Backups, Is the end near? Like most IT Support companies we are asked on a daily basis to make recommendations, tender for business and contracted to help out IT staff and businesses. It is hard to ignore, we are all producing too much CO2. It could be from inefficient electrical usage, car usage or simply quantity of waste sent to landfill. Being a business we have a larger CO2 footprint than most – and so we have implemented as many procedures as possible to reduce the impact EvolvIT has on our environment. How do I change the view of my files? Microsoft Windows allows a user to view files in a window via a given view E.G by Thumbnails, Tiles, Icons, List and Details. How do I arrange icons? Microsoft Windows allows a user to arrange icons including folders, documents and shortcuts in a given order to assist in locating the file or program you wish to access E.G by name, size, type, modified, groups and auto arrange. We have produced the following steps to explain how you can delete a computers temporary internet files. Please note that some instructions may differ depending on your operating system and browser version. In order to set up your iPhone/iPod Touch to access your Microsoft Exchange Mailbox, please follow the instructions below. Please also note that instructions may be slightly different based upon your software version of the iPhone or iPod Touch. How can I open a 2007 Microsoft Office file in an earlier version of Office? Our clients receive files from their customers and partners in many different formats and from legacy versions of software. Being able to open these files easily is of paramount importance. AKC Consultancies Ltd were a company that created a fundraising management database aimed at the charity sector. Unfortunately, in 2008, AKC unexpectedly went out of business leaving many charities with an unsupported fundraising system. How do I setup a pop3 email account in Microsoft Outlook? In order to set up a pop 3 email account in Microsoft Outlook, you will first need the username and password of your email account along with the incoming and outgoing mail servers for the account. Your email/ISP provider will be able to supply you with these details. How do I change my home page in Mozilla Firefox? There are two ways to change your home page. You can either set the home page to a specific website address manually or set the current website you are visiting as the home page. How do I change my home page in Internet Explorer? How do I setup a Pop3 email account in Outlook Express? In order to set up a Pop3 email account in Outlook Express, you will first need the username and password of your email account along with the incoming and outgoing mail servers for the account. Your email/ISP provider will be able to supply you with these details. How do I create a folder in Microsoft Explorer? Thanks once again for our IT services team for creating this simple guide to creating a folder in Microsoft Explorer. Read our step by step guide to disable User Account Control in Windows Vista. The change in VAT rate to 20% has caused problems for many websites, databases and software applications that have been developed with a hard-coded 17.5% value for VAT calculations. How do I send a fax from my PC? Fax may seem like a technology from a by-gone era, but actually, it’s still an extremely useful communication tool.